My head as been all over the place. Forgot I had taken this one until not that long ago when I was moving some photos around. So, yay! Found photo! 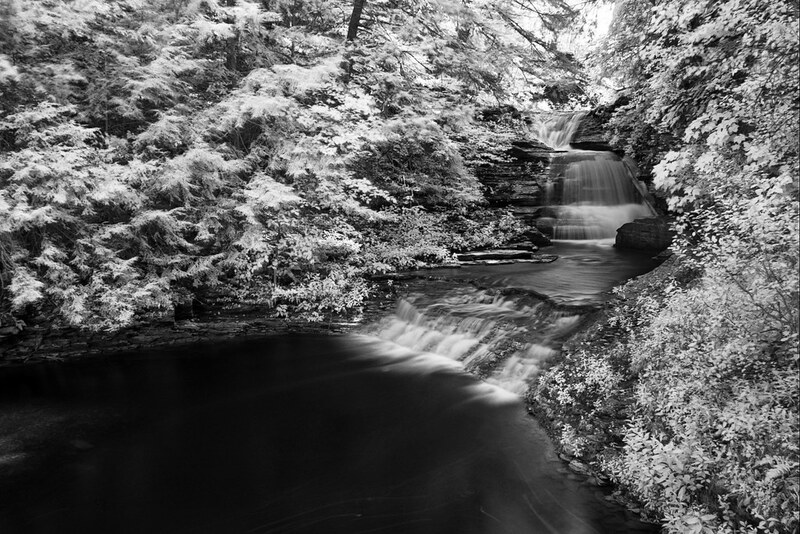 The falls at the old mill at Robert H. Treman State Park in infrared. Hey Vicki, this is lovely. So nice to stumble over forgotten treasures. It's been a long time. How are you doing? Great shot! You are really good!